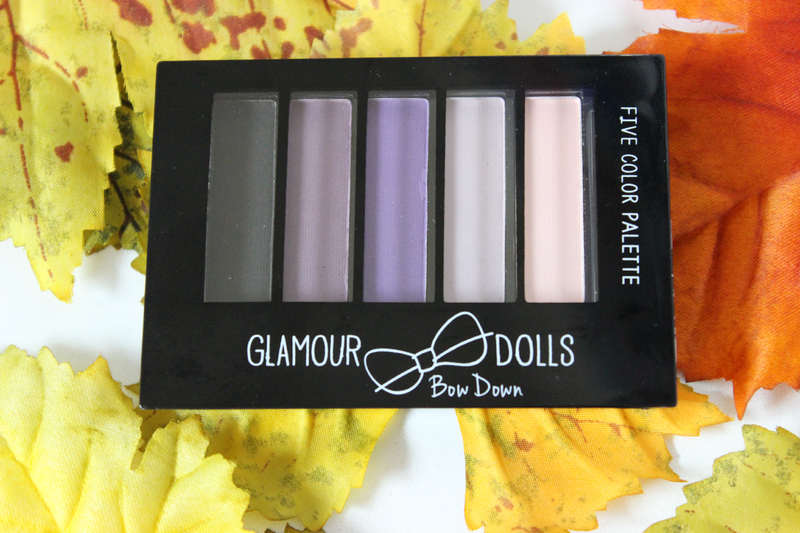 Hey everyone today I have an exciting post on a new eyeshadow palette by Glamour Dolls. This is in the shade Off With His Head and I am seriously in love with this palette name. I also love how girly the packaging is on the palette. This palette comes with 5 different colors. 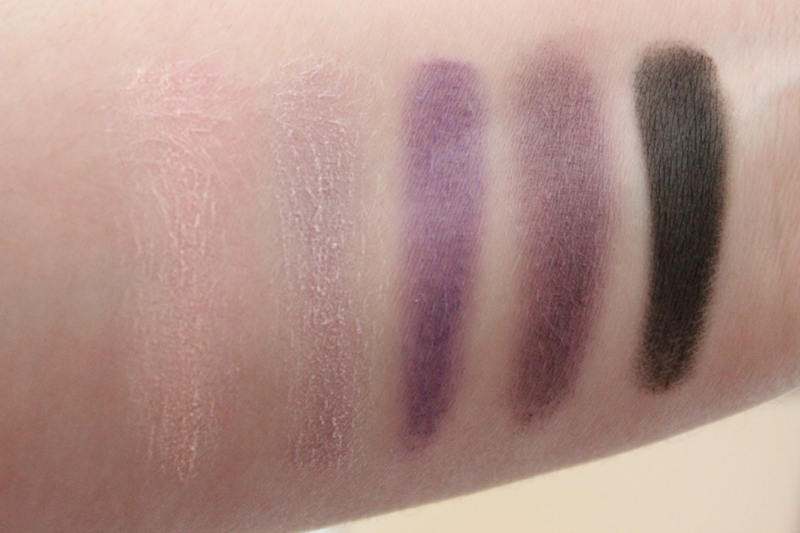 Starting with the lightest shade we have a very light pale pink, then we have a grey purple shade, below that is a deep purple, and then we have a darker grey purple and lastly a black. 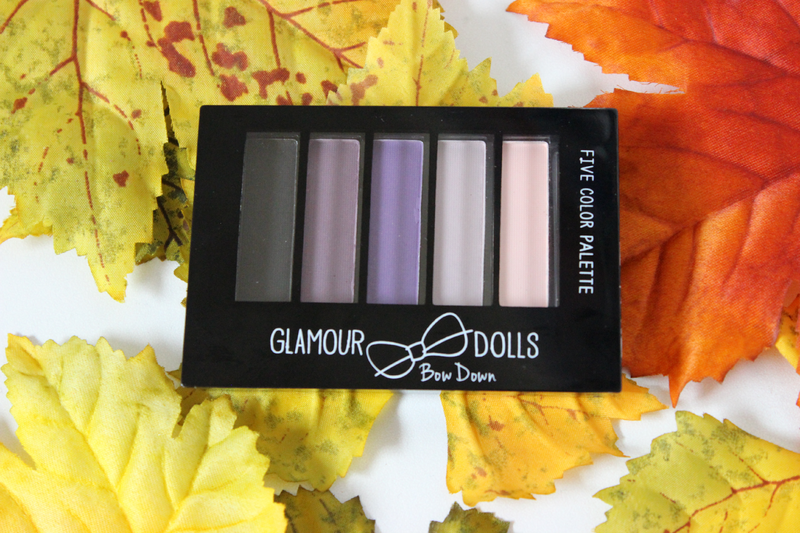 All of the shades have more of a matte finish, and there is no shimmer to this palette. 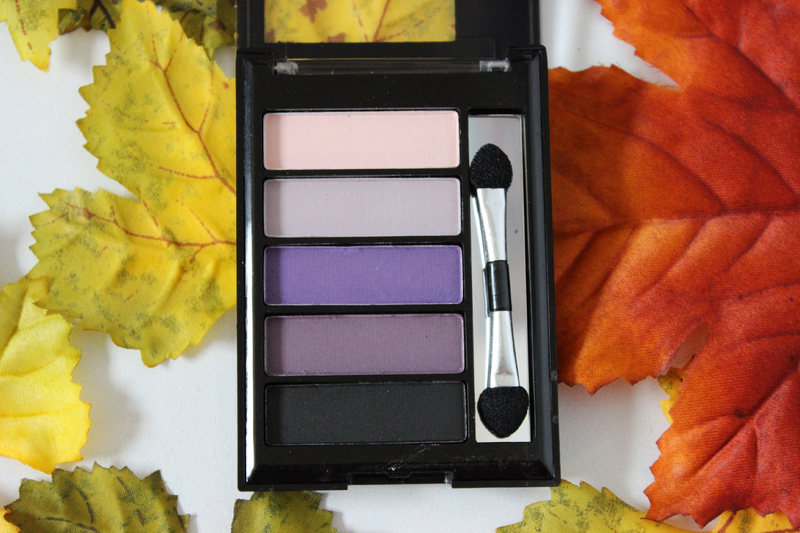 Which is something I love because they shades are perfect for the fall and I generally don't use shimmery shades in the fall, so I know I will be pulling this palette out a lot. Pigmentation wise I thought it was fairly pigmented. The lighter shades were a little hard to see on my skin tone since I am so light, but the darker shades were incredibly pigmented and looks lovely with my skin tone. Also the shadows were very buttery which makes it so nice to apply. 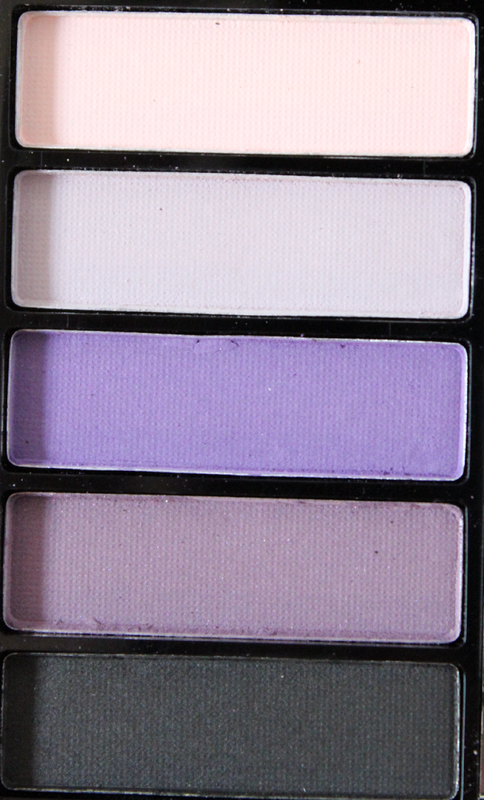 My favorite shades of this palette would be both of the purples and the light grey color. I think it would make a wonderful purple smokey eye. This palette is only $3.99 (which is a steal) and can be bought at http://glamourdollsmakeup.com/ . Super cheap and a good palette for young girls starting with make up! There's a local brand here called silky girl that has a quad that looks exactly like this! I would avoid it without a primer I think! One Buy Get One Free on MAC, NARS & More!